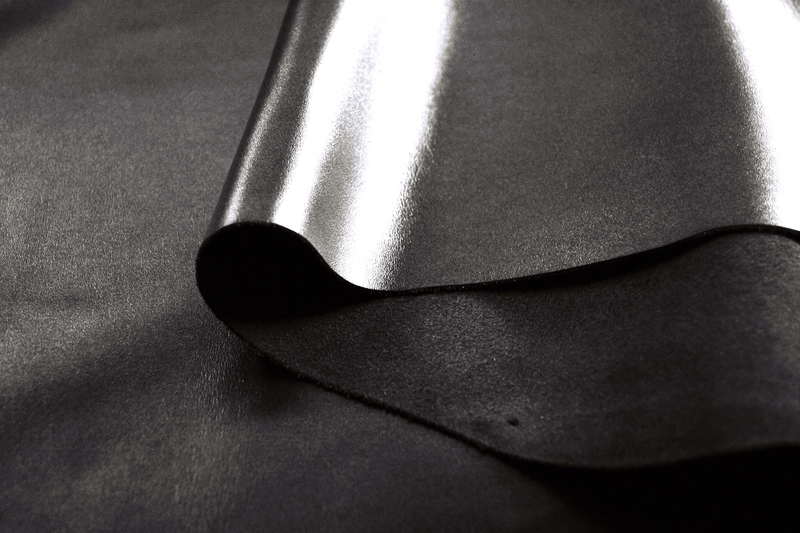 Semi Aniline full grain leather for classic shoes. 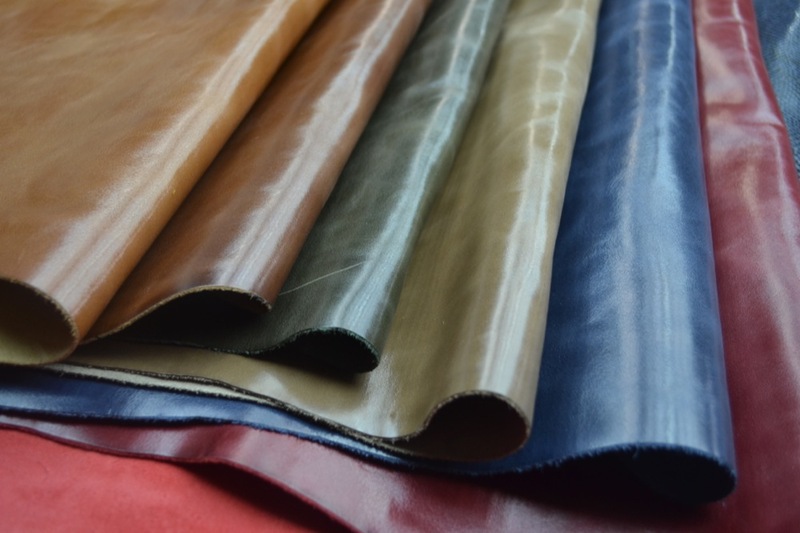 Main characteristics are its transparent finishing, semi hard-tube leather touched and high percentage of vegetable retanning. 1.2-1.4 mm for women and 1.4-1.6 for men. Complete range of Nappa articles all full grain and incredible soft touched. Our most produced are Napa Milano, New Agreste, Napa Forus and Napa Florencia. Color: Black and a complete range of brown. Fashion Colors is added every season according with the fashion tendency. 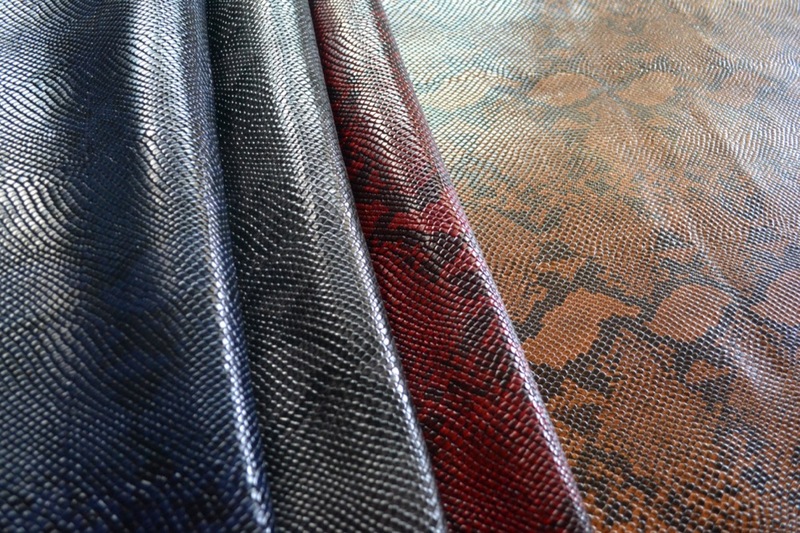 NAPA SANTA FE is our prouder nappa soft with small embossing and incredible soft touched. Perfect to be use in woman shoe and boots. It is elegant, lightweight and smoothness. 1.1-1.3 mm and 1.2-1.4 mm. Crazy wild with low and medium effect, top grain corrected with paraffins and oily end touch. An ideal article to be use in security, casual or sportwear boots. Waterproofs under request. 1.6-1.8 mm and 1.8-2.0 mm. Embossing plate such yakare, cobra, reptile or others. 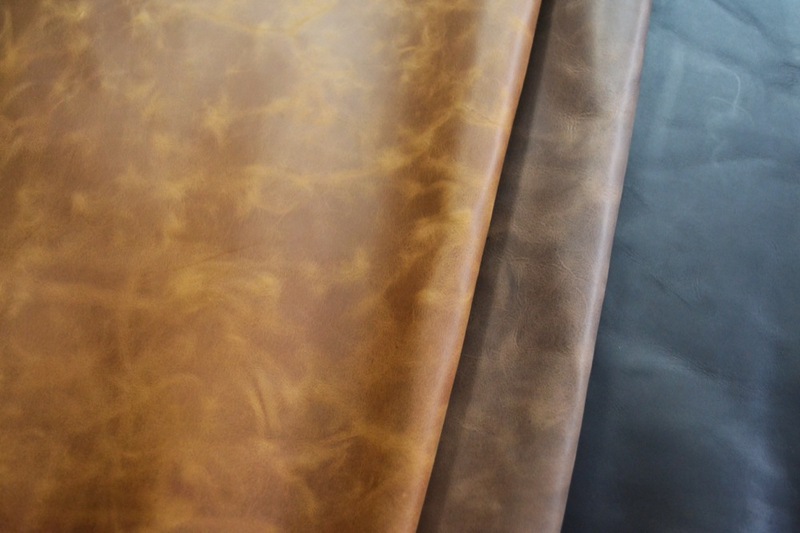 Our Gitano, New Waxy, Coni and Italiano are waxy leather top grain corrected with soft touch and medium-low pull-up effect. Ideal articles to be use even in classic and fashion shoe models. Italiano is article high gloss because it is finished with carteggio paper and casein. 1.2-1.4 mm for woman and 1.4-1.6 mm for men. Classic colors such as: Dark-Brown, chocolate, caramel, burgundy, red and blue and plus all trend fashion colors like: indigo, green, yellow and moss among others. Nubuck and Noburo (embossing with medium grain GREASE) are sanded from out side of he skin, soft touch and very short plush or padding. 1.4-1.6 mm and 1.6-1.8 mm. Classic colors such as: chocolate, blue, yellow and caramel. Our soul, our tannery seal. More than 500 different leather articles according to current trend and fashion. Using finishing technics, embossing plates, papers and metallics folias, we can provide to each market and client a unique value-added proposal to their products. 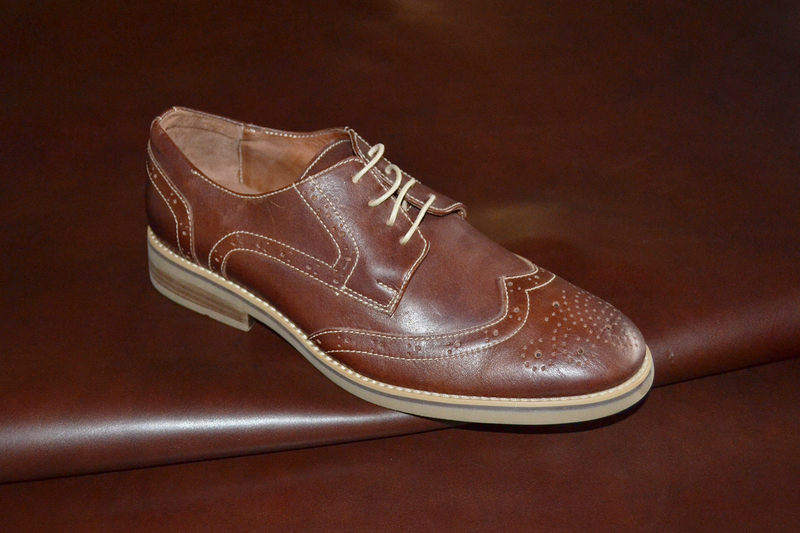 Either to be use in a complete shoe, boots or leather goods to be use as a little part or appliance in their models. 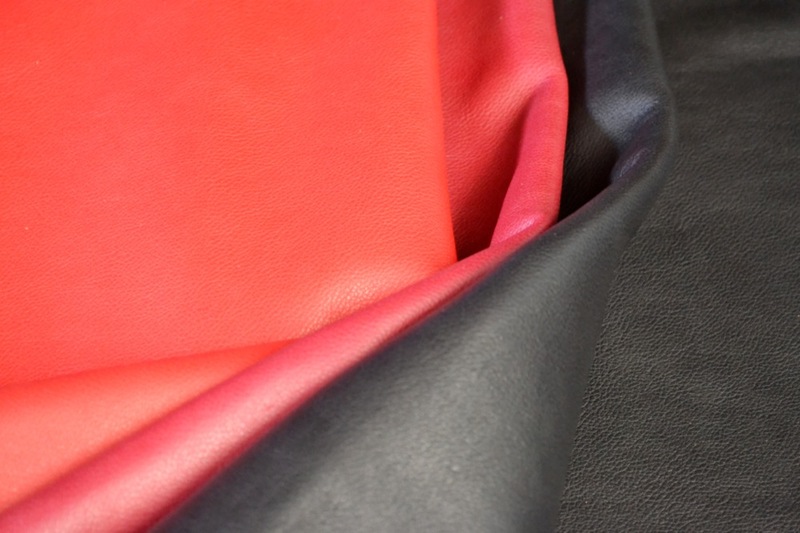 Fashion leather helps to maintain a fresh and renewed look, and most important in a fashion way. All colors and combination with Gold, silver, copper, bronze and pewter or red finish look. Smooth or floater, high gloss or mate, and even with pull-up effect or not. +50 Embossing plates combinations and finishing fashion types. 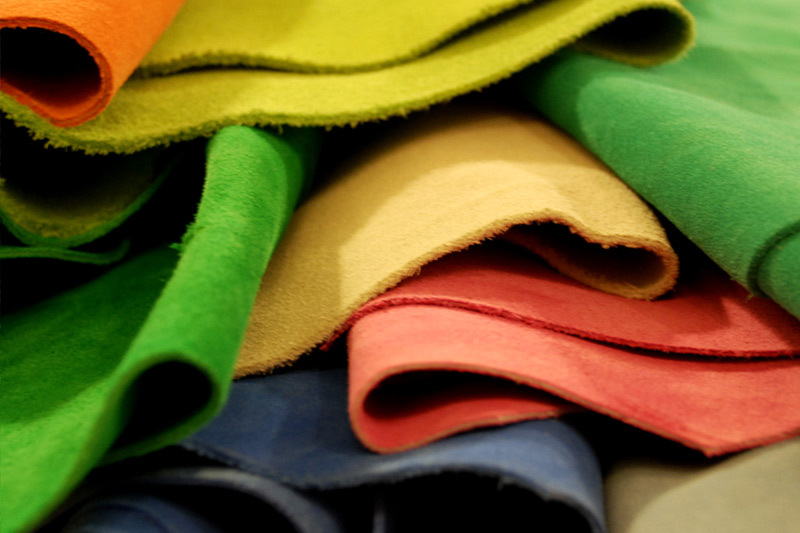 From Traditional suede or split to paraffins finishing and embossing plate and folia and papers. 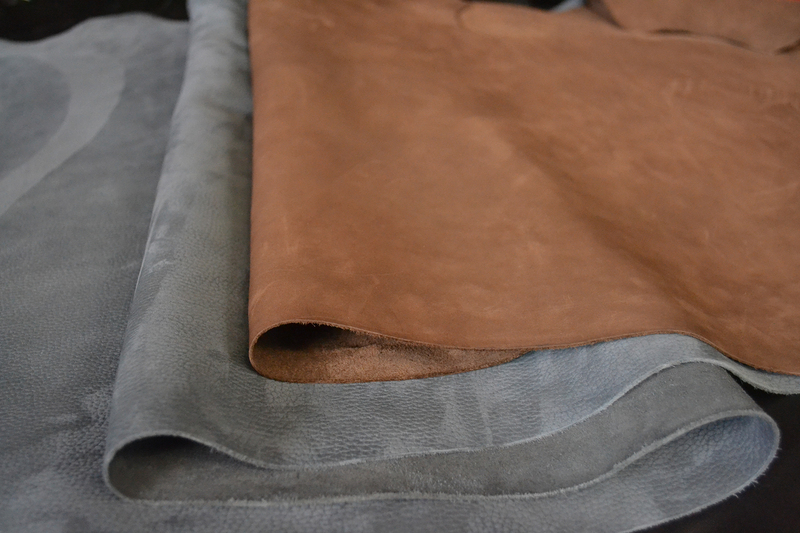 Our proposal in suede is large and one of our articles with most recognition among our clients. Classic colors and fashion ones such as: Black, chocolate, blue, yellow and caramel and all fashion colors such as: red, green, golden brown, etc.